Unfortunately Mark and Allison are not laughing as they are dragged into the confict between light and dark. With no idea which side is which. They have been gifted with the ability to control the Elements? Fire, Air, Earth and water bending to their will. That's the power wielded by the Grail Knights. And they have been drafted new abilities, new friends and new truths. Can they master their abilities and accept all the changes that come with them? The characters and theme sprung from a free-form role playing game a few friends and I played many years ago. 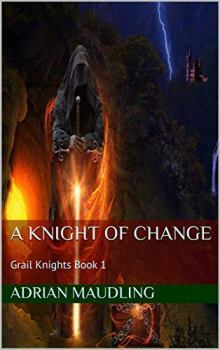 we were looking for something different and new to play to stretch our imaginations and we pulled our ideas together to create the idea for a group of magical knights fighting evil in a modern day setting.